The Greenwich Art Society proudly presents its 102nd Annual Members Exhibition, a major exhibition comprised of artwork by Greenwich Art Society members. The show takes place at The Bendheim Gallery on the 2nd floor at Greenwich Art Center from March 15, 2019 thru April 13, 2019. There will be a public reception on Friday, March 15 from 6:30 pm -8 pm with a special VIP walk and talk tour with the juror on Thursday, March 21 from 5:30-7:00. 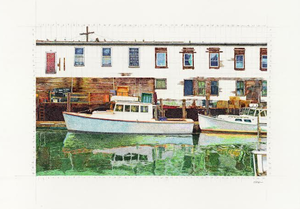 The Greenwich Art Center / Bendheim Gallery is located at 299 Greenwich Ave., Greenwich, CT 06830. The Greenwich Art Society 102nd Annual Members Exhibition will exhibit a diverse range of works by its members and will be juried by a curator from one of the major NYC museums. The Annual Members Exhibition is highly competitive, drawing fine artists from the entire tri-state region. Many of the Society’s artists/members are locally and regionally recognized for their work and have shown in galleries and art fairs in NYC and beyond.